Pitched roofs are one of the longest lasting roof types you can have, but they only maintain their longevity when they receive regular maintenance. You don’t want to wait on pitched roof repair in Beaverton. 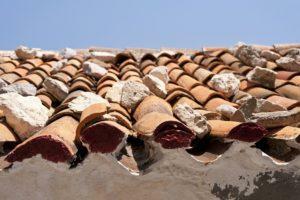 When something goes wrong with your roof it can cause progressive damage and get exponentially worse over time. When you need repair for your pitched roof don’t wait to contact Pioneer Roofers. We’ve been providing Beaverton with the best pitched roof repairs for more than 20 years. Experience – With 20 years of performing pitched roofing services in Beaverton, we know what can go wrong. Having a company with the experience to tackle any pitched roof problems you may encounter and provide fast, efficient, and reliable repairs is invaluable. We’ve seen everything the Pacific Northwest can throw at a roof, at all stages of a roof’s life. Whether you’ve just discovered a problem or have had one on the back burner for years, we’ve got the equipment and skill you’re looking for. Knowledge – Experience is wonderful for learning about the details of a problem that only hands on training can provide, but, a sound foundation is everything. Our roofers are highly trained in all facets of roofing. When you choose us to repair your pitched roof you’re getting specialists. 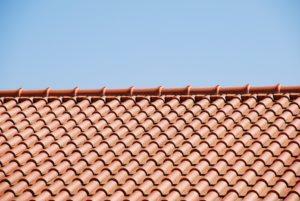 Our expert contractors have devoted themselves to the roofing trade. We live it, we breath it, and we do it every single day. We excel at problem identification, diagnosis, and repairs. Equipment – We’ve got the industry leading equipment to perform all types of roof repairs in the Beaverton area. This helps speed the flow of work by ensuring all of our tools function at the highest capacity. We also use the highest grade repair and roof replacement materials. Whether it’s weather proofing, slats, tiles, shingles, or more, high quality repair can only be achieved with high quality components. With the care we exercise, your roof will continue to provide great protection for years to come. For the most reliable, efficient, trustworthy pitched roof repair in Beaverton from expert level roofers call (503) 281-0305 or Contact Us today. Beaverton is a small city with a lot going on. The robust and always helpful Beaverton City Library is a fantastic resource. It doesn’t just check out the ability to learn something new, this library hosts regular events that bring children, teens, or adults together with those of similar age ranges and interests. It’s a great place to read and make new friends. When Beaverton citizens want to take those friendships outside the library, they frequently choose the Beaverton Farmers Market. With a wide variety of produce, art, and food items it’s a wonderful place for the community to come together.